Nick Finio is the Associate Director of NCSG, and a PhD candidate in the Urban and Regional planning program. He primarily works on community development projects with Gerrit Knaap, Casey Dawkins, and Willow Lung Amam, but is also deeply engaged with the Center’s sustainability efforts through the PRESTO program. Nick also works on Purple Line Corridor Coalition, including implementation of the recently acquired FTA grant. Nick is responsible for numerous administrative tasks at NCSG. He was responsible for planning NCSG’s successful “Smart Growth at 20” workshop in April 2018. 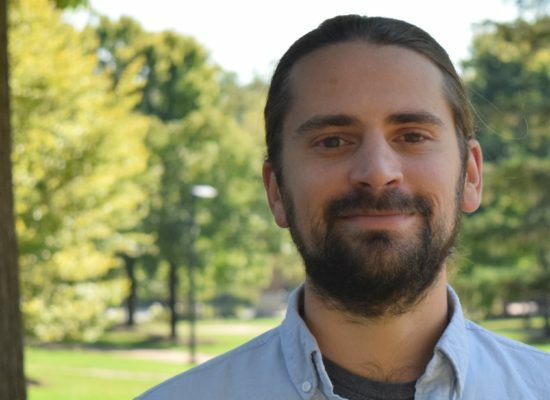 Nick joined NCSG in the Fall of 2013 as a Graduate Assistant in the URSP Community Planning program, graduated in May 2015, and started the URPD PhD program in the fall of 2015. He advanced to candidacy in the PhD program in Summer 2017 and defended his dissertation proposal, “Towards a holistic understanding of gentrification,” in May 2018. In Summer 2018, Nick accepted a full-time position, and was promoted in January 2019 to Associate Director, under direction of Gerrit Knaap. He remains a PhD candidate. See Nick’s scholarly publications here, on google scholar. Read Nick’s blog posts on urban issues here at Greater Greater Washington.